28 club members spent their Bank Holiday trying their best to out-bowl each other for the Denton Two Wood trophy. The weather was generally kind for the morning round robin stages during which young Bill Whenman showed brilliant form. After lunch the quarter finals, which included 5 men and 3 women, resulted in semi-finals between Colin Foster and Janet Bird, and Len Welton and Debbie Kenny. 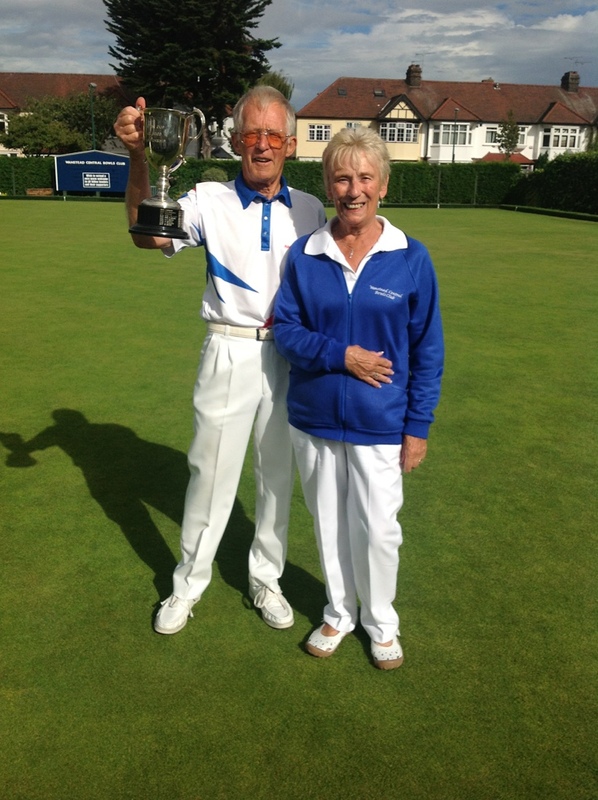 Both matches went to the last couple of ends, with Janet and Len winning through. In the close final an aggressive wood by Len on the eighth end was the turning point and gave him a three shot lead. Then a two on the next end gave him an unassailable lead in the eleven end match. ~ by Colin Foster on August 27, 2012.